After a 25-year break from boating, Brian Harvey circumnavigates Vancouver Island with his wife, his dog, and a box of documents that surfaced after his father’s death. John Harvey was a neurosurgeon, violinist, and photographer who answered his door a decade into retirement to find a sheriff with a summons. It was a malpractice suit, and it did not go well. Dr. Harvey never got over it. The box contained every nurse’s record, doctor’s report, trial transcript, and expert testimony related to the case. Only Brian’s father had read it all — until now. 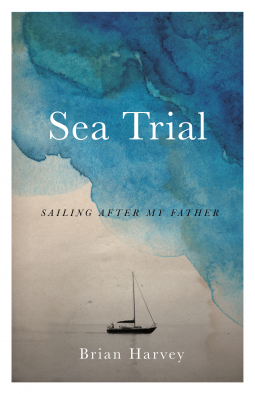 In this beautifully written memoir, Brian Harvey shares how after two months of voyaging with his father’s ghost, he finally finds out what happened in the O.R. that crucial night and why Dr. Harvey felt compelled to fight the excruciating accusations.